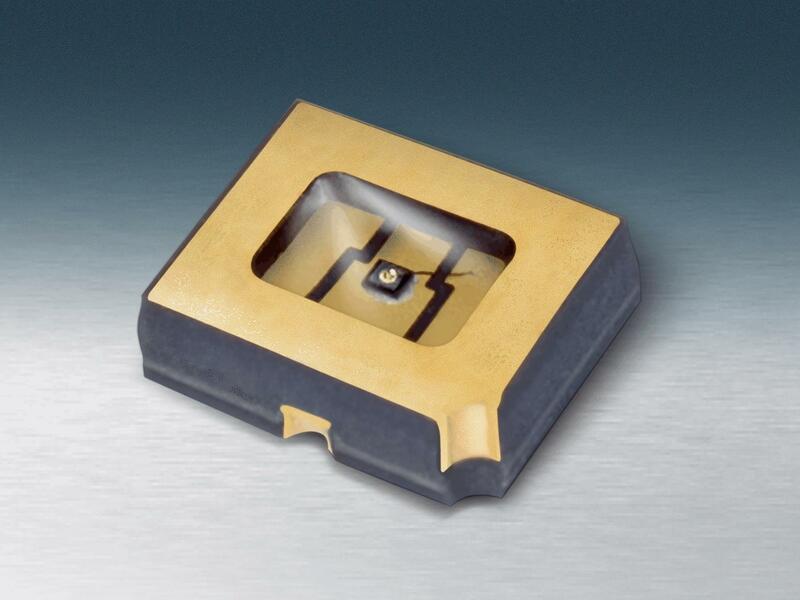 Opto Diode presents the OD-685C, a new deep red, surface-mount device (SMD) light-emitting diode (LED). This new device features 2.0 mW of radiant power at a forward current of 20 mA, a peak wavelength of 685 nm, and a radiant efficiency of 56 percent. The LED is designed to deliver outstanding efficiency for applications requiring radiometric measurement with tight spectral bandwidth such as biological analysis, health, science, medical, and veterinary applications. The OD-685C has a wide operating temperature range from -65 °C to +125 °C, making the LED ideal for use in harsh environments. Additional features include a typical voltage of 1.8 V with a maximum 2.2 V, and a tight spectral bandwidth of 30 nm at 50 percent. The LED may also reach higher optical power when operated with total power dissipation at 110 mW and continuous forward current at 50 mA, or with the peak forward current (at 10µSec @ 300 Hz) at 100 mA. For more features, specifications, and performance parameters, download the datasheet.